The 2014 Egyptian Constitution includes various aspirational guarantees of equality of citizenship for all Egyptians. Included in the Constitution is a specific provision requiring that the Parliament pass a bill in its first legislative session to regulate the construction and repair of churches, a direct admission that the controls on Christian places of worship have been a core source of the institutionalized discrimination of, and violence against, Copts. The total number of the churches of all denominations in Egypt does not exceed 2,600, or about one church for every 5,500 Christian citizens, compared to one mosque for every 620 Muslim citizens (or for every 75 Muslim citizens if taking into consideration the small places of prayer). A paltry two churches per year have been authorized for construction in Egypt over the past six decades, leading to the creation of a tragic cycle of violence wherein Christians are forced to pray, marry and bury their dead in ad hoc constructions, triggering countless acts of mob violence, often backed by official indifference, complacency or state intervention charging Copts on the spurious basis of using unauthorized places of worship, all ultimately feeding into a climate of increasing fanaticism targeting Copts. State abuse over church permits to discriminate against Copts is not a new phenomenon. In February 1856 the Ottoman Caliphate issued the Hegemonic Decree (Al- Khat Al-Hamayouni), giving the ruler, at the time a sultan, then later a khedive, king, and since 1952 President of the Republic, the legal authority to decree the construction of any house of worship for non-Muslim subjects. In February 1934, Al-Ezabi Pasha, the under-secretary of the Ministry of Interior, issued an administrative decree listing ten conditions necessary in order to issue a church construction permit, that has ever since rendered the official building or even repair of a church virtual impossibility. A report of a Parliamentary committee, headed by Mr. Al-Oteifi, that was formed after the Al-Khanka sectarian incidents in 1972 found that these onerous conditions were a source of communal strife. President Sadat, however, chose to ignore the report’s finding, and the problems with church building and religious strife have continued unabated. At one point, President Sadat even promised Pope Shenouda to issue fifty church building permits a year. Yet, Sadat never fulfilled his promise. Since 2000, talk has circulated about preparing a new law to regulate places of worship. However, the idea of having a unified law regulating houses of worship was dropped under vehement objection of Al-Azhar (on the alleged basis of differences in the system of worship between Islam and Christianity). Instead, the focus has become on church building and repair. In fact, the “Family House” (a council composed of religious representatives from Al-Azhar and the Churches in Egypt), which was theoretically charged with attenuating sectarian problems, declared in 2011 its rejection of a Unified Law. Article 235 of the 2014 Constitution continues with this inherent discrimination between the religions in requiring a law specifically regulating churches, thus reaffirming the state bias in favor of Islam and clearly contradicting the notion of equality of citizenship. The first legislative session of Parliament has come and gone without the issuance of the church building law. A new target date for passage of has been set for the end of September 2016. Which, if any, of the myriad of floated bills will be presented to Parliament, and the content of such bills, has been left intentionally vague, following the all-too-predictable manner of obfuscation, evasion and obscurity when it comes to the state’s treatment of Coptic affairs. The freedom of belief and worship and equality between citizens before the law is an inalienable right, regardless of faith or creed. The Al-Khat Al-Hamayouni and the Ten Conditions for constructing churches shall be completely and finally abolished and replaced with a law whose purpose must be not just to regulate, but to facilitate, the building and repair of churches. A single, clearly identified government agency shall have responsibility and authority to issue church permits, and decisions on applications are to be rendered within a stipulated period, failing which decision the application shall be deemed accepted and the relevant permit granted. There shall be no right to order the cessation of prayers in a church, or stop its construction, renovation or repair, except in accordance to a final legal ruling. Appeals on legal rulings are to be done according to a designated judiciary system with a mandatory decision-making calendar. As a transitional matter, retroactive permits shall be granted to all churches in existence; the role of the state in this regard shall be strictly limited to endorsing the lists of churches that will be prepared and presented to it by leaders of the Christian denominations. There shall be no arbitrary conditions imposed upon the construction of new churches, whether in relation to official number of area Christians, relative distance to another church or mosque, ambiguous notions of “disputed lands” or otherwise. Where building construction commonly occurs without permits, churches should be treated according to the prevailing practices for area buildings. Church towers, crosses, bells and entrances are integral parts of the essence of any church in the world and should not be subjected to any other rules than those specified in construction laws to ensure the safety of the building. Spiritual, social and health services buildings are necessary in some churches, and need to be included in church construction permits. No construction permits shall be required to build churches within a monastery, which are per se designated places of worship. Articles of the new law must be clear, direct and self-explanatory, and deferral to the law’s execution directive kept at its minimal level. 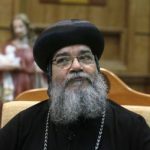 In order to avoid any obstructive tactics that might be pursued by any agencies, there should be a stipulation in the new law for a minimum number of church building permits per year, such as 50 churches for the Coptic Orthodox, and 20 churches for the other denominations. The state shall be required to protect all stages of church construction after the issuance of the construction or repair permit, and shall guarantee the safety of conducting activities therein. 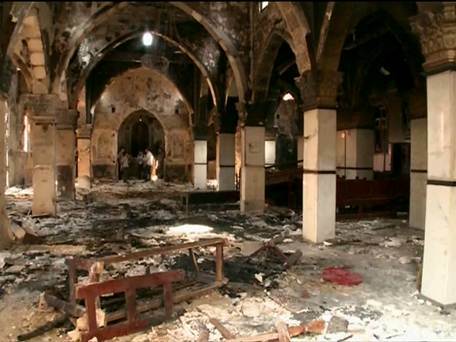 Attacks on churches and places of worship, and any incitement thereof, shall be subject to criminal penalty, and the state shall bear responsibility for full compensation for any damages that result from attacks on the churches and any congregants. The new law must not be made devoid of its main goal; namely, facilitating the process of church construction, expansion and repair, and the lifting of restrictions and complexities. THE TIME FOR CHANGE IS NOW. THE MERE FACT THAT IT IS NECESSARY TO POINT TO SUCH BASIC PRINCIPLES UNDERLINES THE URGENCY FOR CHANGE IN EGYPT. 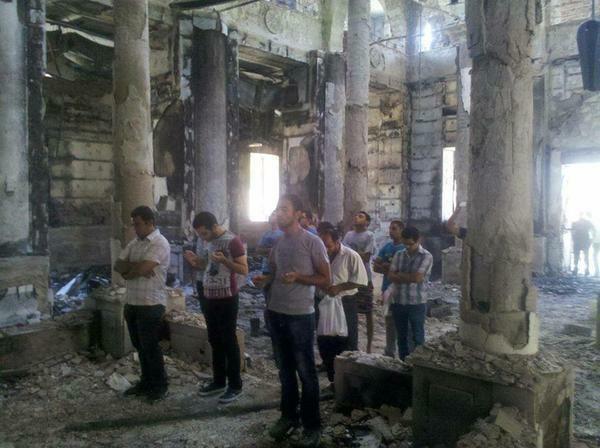 COPTIC SOLIDARITY STANDS WITH ALL THOSE PROMOTING AN EGYPT THAT IS JUST AND EQUAL.